I guess I didn’t plan that out too well. It was really hard to type while asleep although I’m pretty sure I did just that in college. A lot. Coming out of the Propofol is really weird because it’s like having a deep dream and then waking up almost immediately. I really wasn’t in a lot of pain and I was able to stand up in about an hour. Moving me from primary to secondary recovery was delayed due to the old guy next to me having some respiratory distress. Normally when someone is in distress my reaction would be to help, but since I was kind of loopy and there was a staff of doctors and nurses tending to him I just sat there and ate my graham crackers and drank my diet Coke. I felt a little odd doing so but, really, what do I have to offer that they didn’t have under control. Plus, I was pretty hungry. You are allowed visitors in secondary recovery. Kim and my parents were there, rating the hospital services on a mostly positive note. My dad reminded me that I got to keep the socks provided. Sadly, I had to return the calf-cuff things that periodically massaged my legs during the procedure. Those were nice — at least from what I remember. OK, time to head into the OR. I’m going to try to keep my klive bog as accurace at possible but I’ve been fiven some sort of med to take the edge off. What edge? Theres no edge, at least not now. I have been advised that the surgery will only affect the inside of my nose so the whole Michael Jackson thing is off. I have also been advised that this is pretty much the lowest risk surgery there is and can I please let go of the nurse’s hand. I am going to ask for something perkier. A hint of Michael Jackson but not so white. 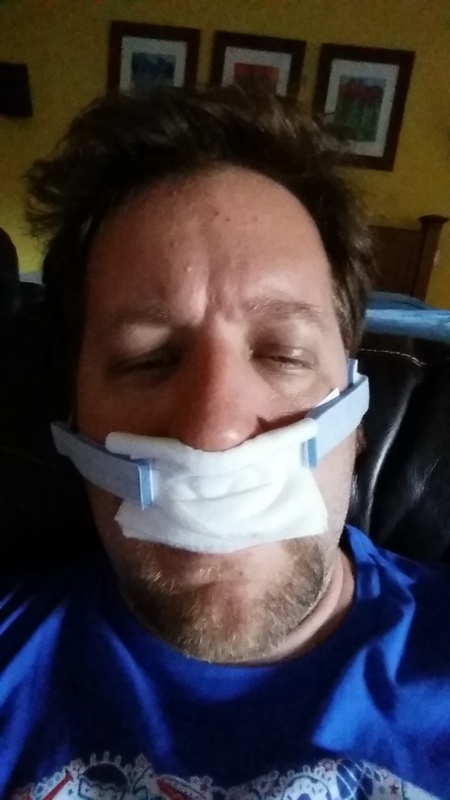 The day has arrived for my nose surgery. Much like the mogwai, I am warned “no food, no drink after midnight” by a weird, old Asian man (not really, her name is Jessie). I am told I can take my daily med with a small sip of water. Also, I am allowed to brush my teeth if I don’t swallow the toothpaste. I don’t know if I’ve ever eaten toothpaste but damn if you don’t consider it once it’s forbidden. So I’m brushing my teeth, thinking to myself “don’t swallow the toothpaste, don’t swallow the toothpaste, don’t swallow the toothpaste” as if it’s something I do regularly. I go downstairs to not eat breakfast. I usually eat a later breakfast, but knowing I am not supposed to eat makes me yearn for some breakfast now. Saw the kids off to school. Now waiting for the late morning arrival time.